Article from Your Realty Insider. With the economic downturn, anyone dealing in real estate quickly became familiar with previously little-known terms such as foreclosure and short sale. Now that the housing market is picking back up and people are moving on, a new term is coming to light – zombie titles. This is when a home has been vacated because the owners defaulted on their loan and their bank started the foreclosure process. However, for some reason or another the bank never completed the foreclosure and sold the home. So, when the city starts fining someone for the overgrown grass and dilapidated structure, the homeowner who thought they were finished with the property gets the bill. These vacant homes can decrease the value of a neighborhood. If the bank or the unsuspecting homeowner are neither one taking care of the property, then it can become overgrown and an eyesore on the block. It becomes a problem with no solution because the owner won’t want to invest any money in fixing up the property when the bank could come back with the foreclosure at any time. Homeowners who have foreclosed on a home should double check that their bank actually followed through to closing on a sale. They could contact their lender or check public property records just to make sure. Otherwise, they could be haunted by their housing nightmare all over again. 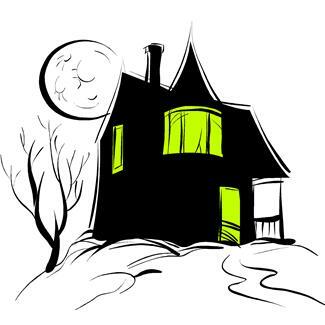 Don’t let the zombie title of a past property haunt your future! Check with your bank to make sure you’re free and clear of your foreclosure. If you’d like more information on zombie titles or have other questions about local real estate, please contact your trusted real estate professional.